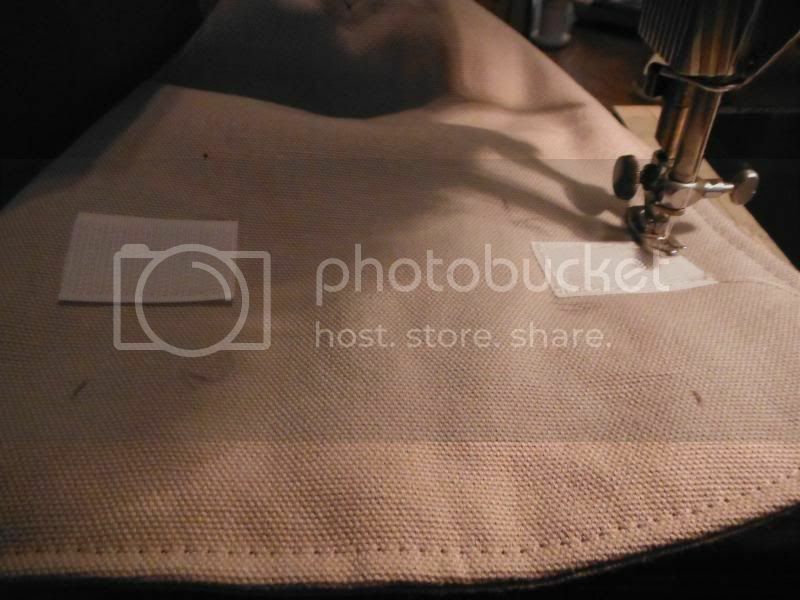 After I finished hand-sewing the inside of the bias tape onto the boot shafts, I top-stitched the edge from the outside. This way it is really even all the way around. 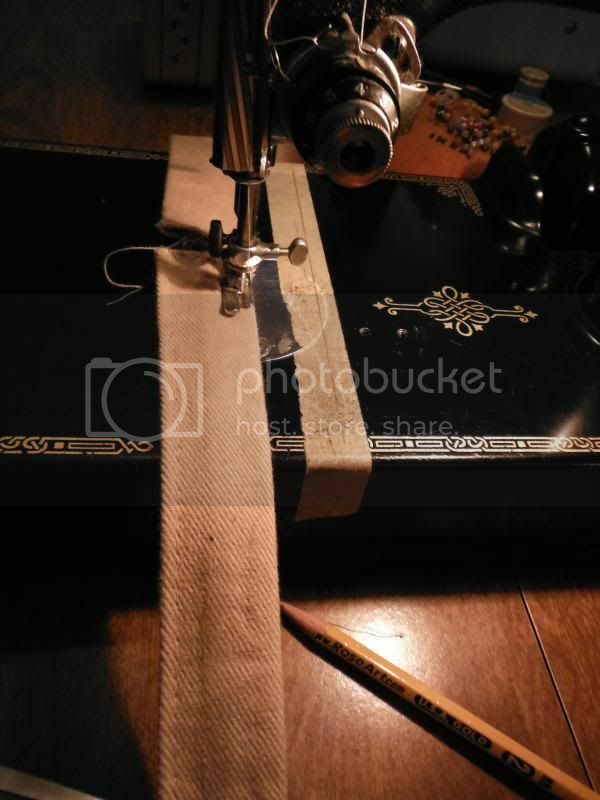 Then I pressed the bias tape all the way around the edges, so it would lie flat with out creases or puckering. 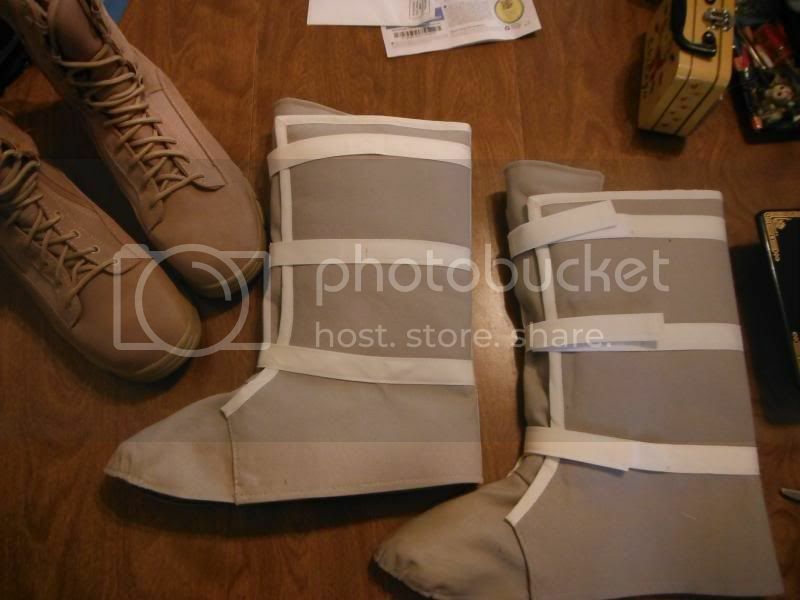 Then I fit the pieces back together onto the base boots. This is how they go together. 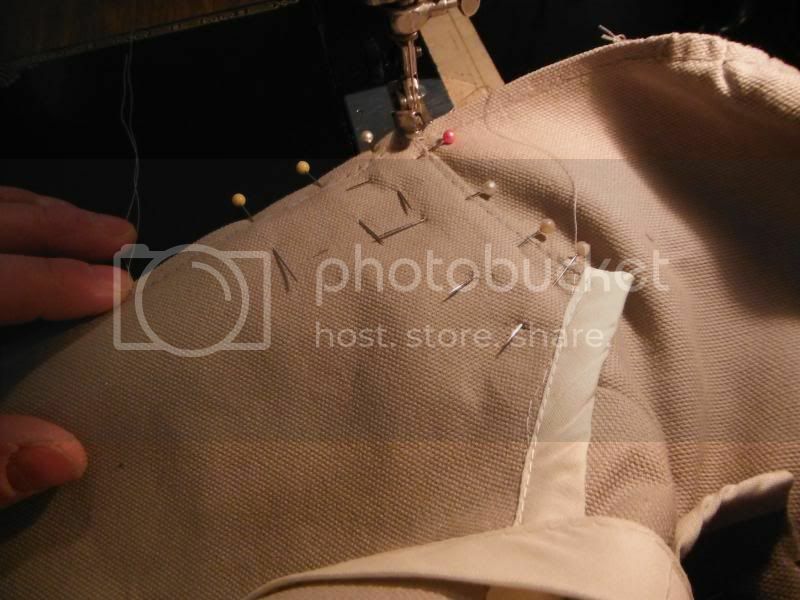 The back part of the boot will need to fit to the toe very snugly. I put small pencil marks where the piece fits at the top of the instep part. 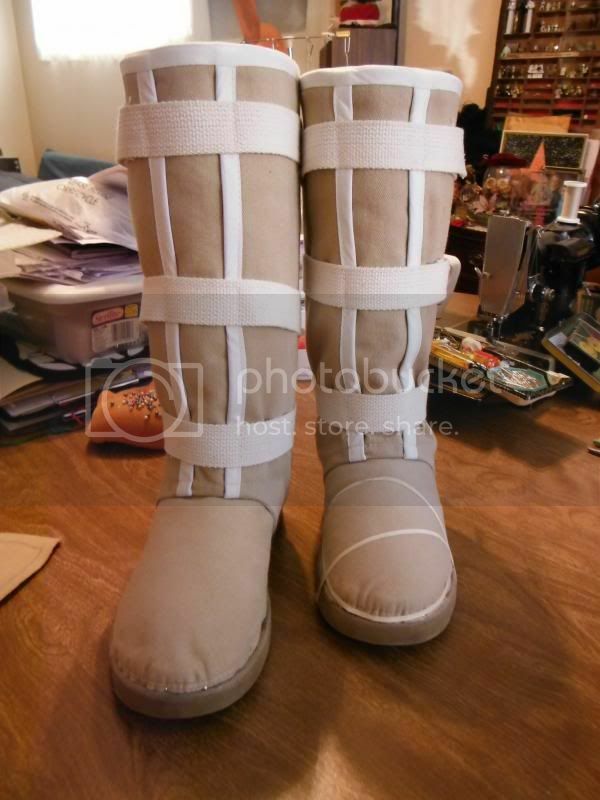 I want this to line up exactly at the bottom edges of both the front and the back and on both sides of each boot. 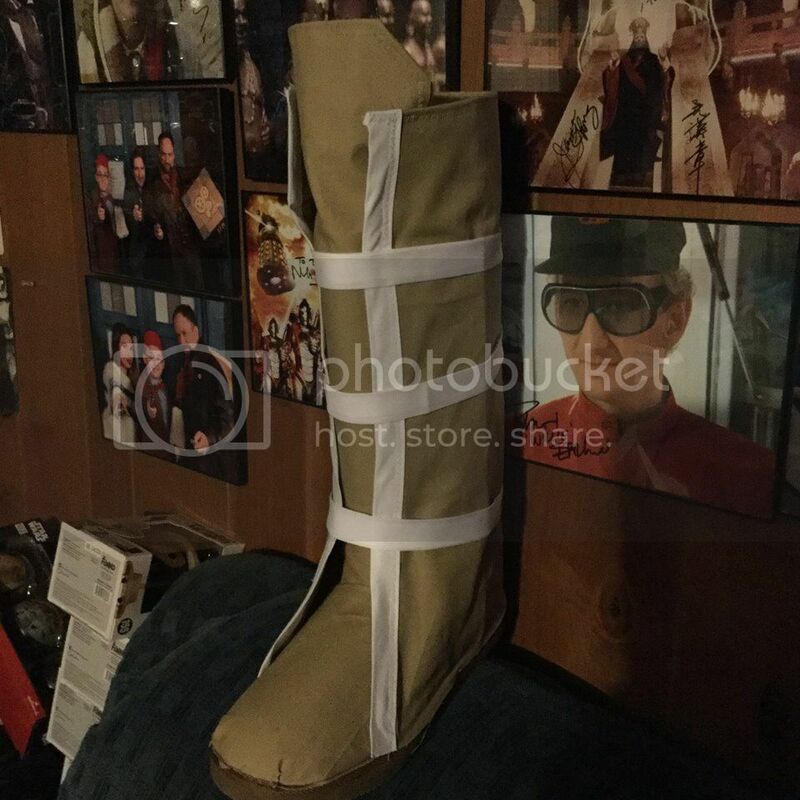 I pinned this all in place directly on the base boots to make sure that they fit. Then I slid the base boots out. 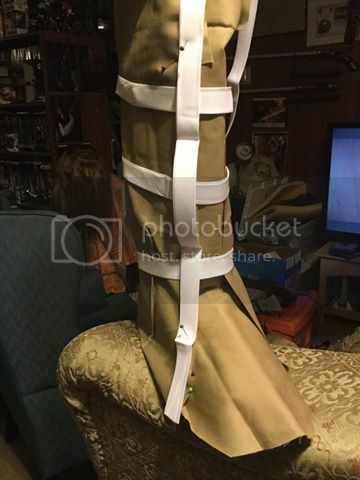 The boot (cover) now stands up completely on it's own! Here is what it looks like on the inside, underneath, pinned together. 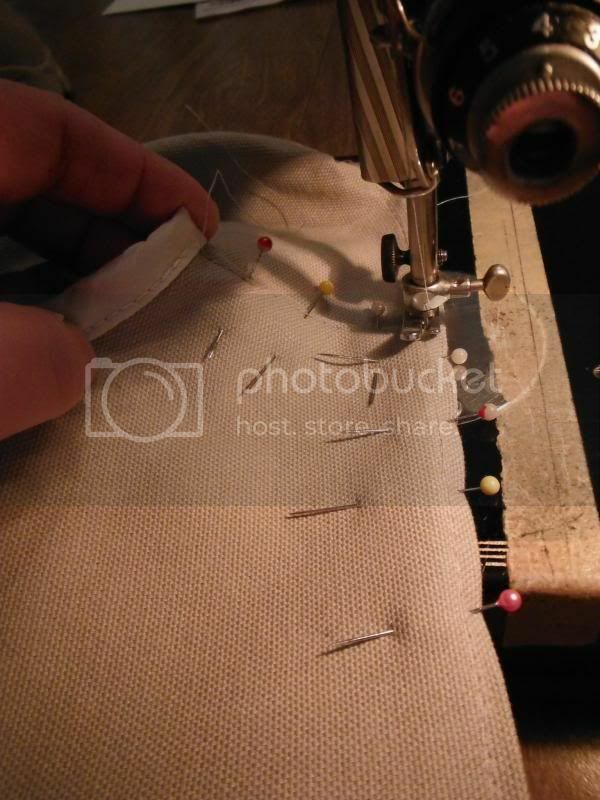 Then I sewed the pieces together at the bottom edges and up the side of the instep. I made sure to stitch over the stress points several times so that this will not come apart. 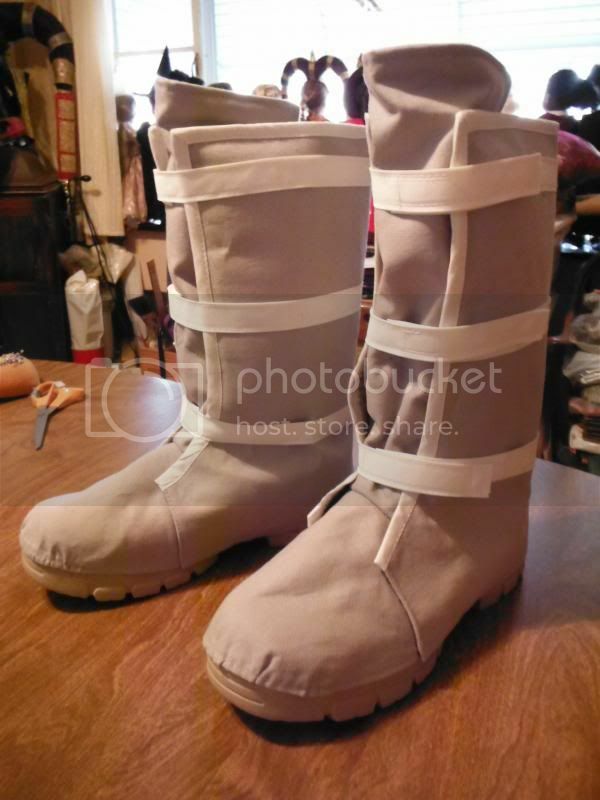 Which I then sewed onto either side of the top of the tongue pieces of both boots. I did this now, because it would be much more difficult to do this later. 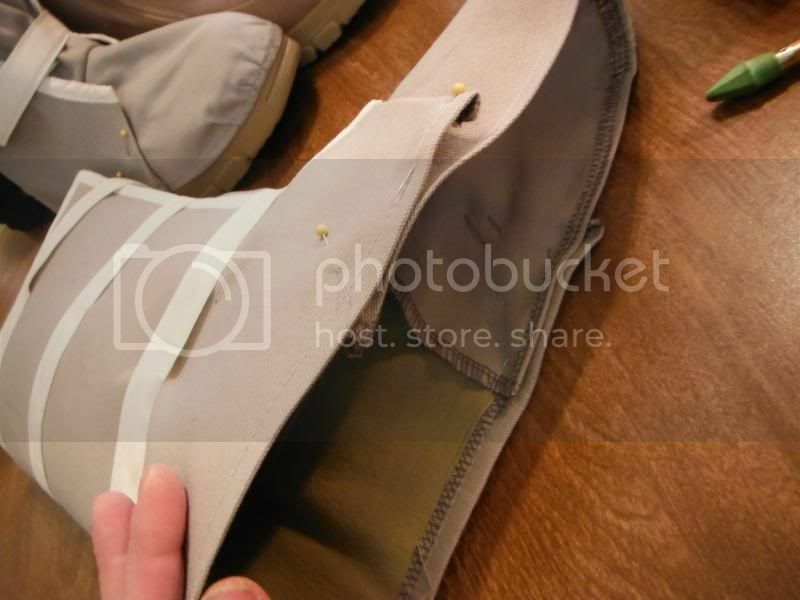 These pieces of velcro will keep the boot tongues in place and not let them slide around or fall down inside the boots once they are on. 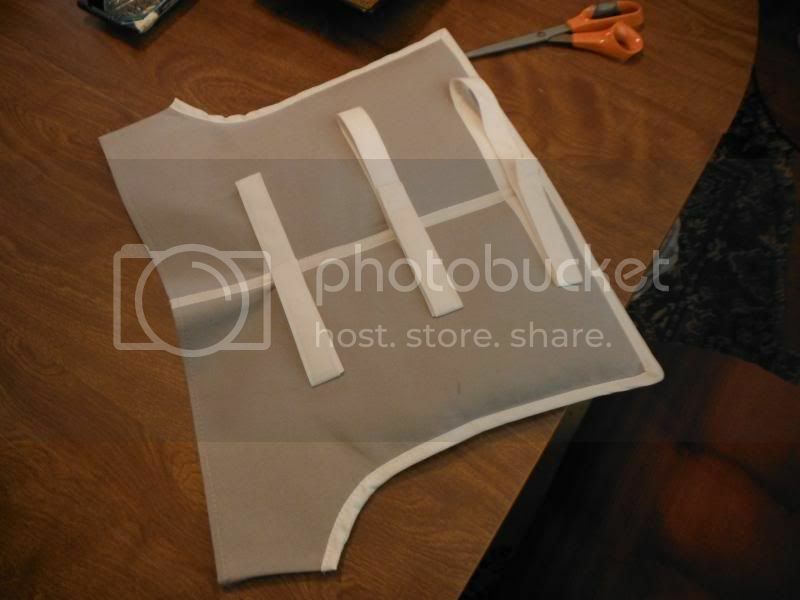 Then I made 2 small straps of fabric using some scraps from the fabric I used for my Hoth Rebel Trooper gaiters. 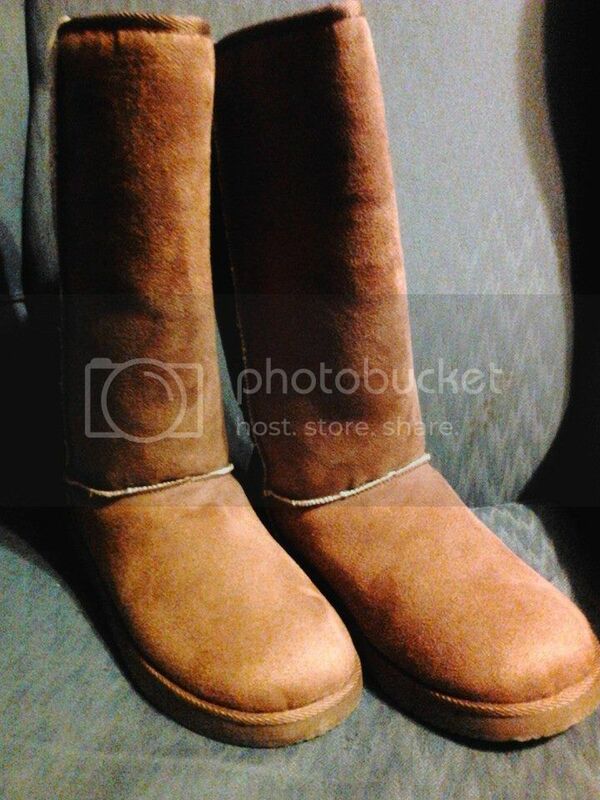 It is a tan upholstery material that is nearly identical in color to the bottoms of the base boots. I made tubes, then turned & pressed the tubes and added some reinforcing stitching. These will become stirrups. 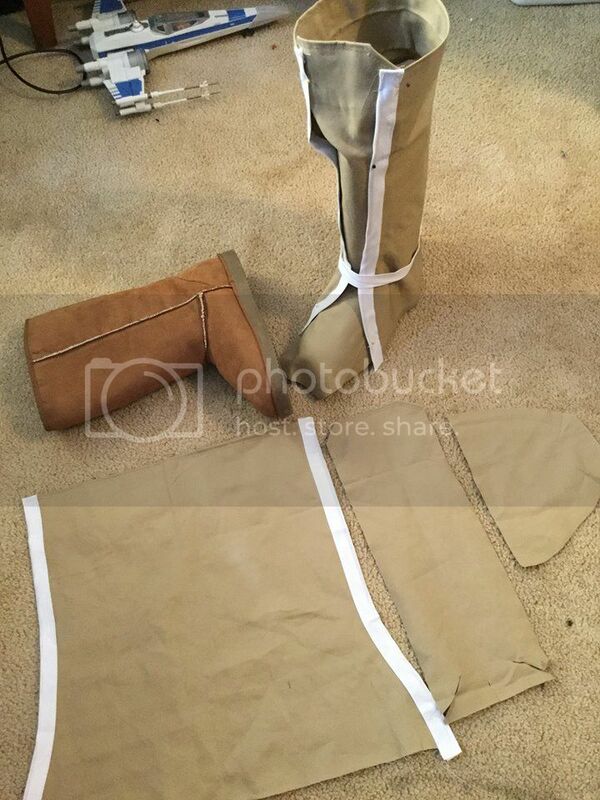 I put the covers back onto the base boots so that I could mark exactly where I should sew these pieces. 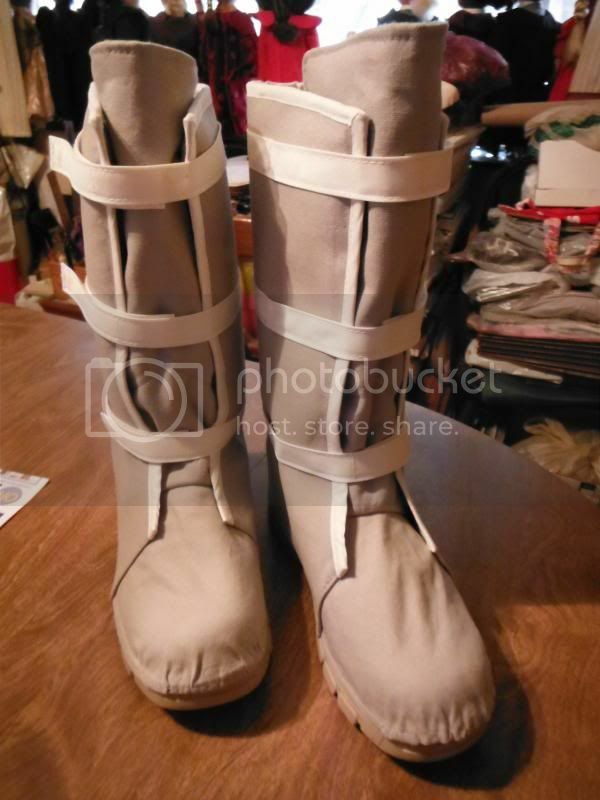 I want them to fit the base boots very snugly. 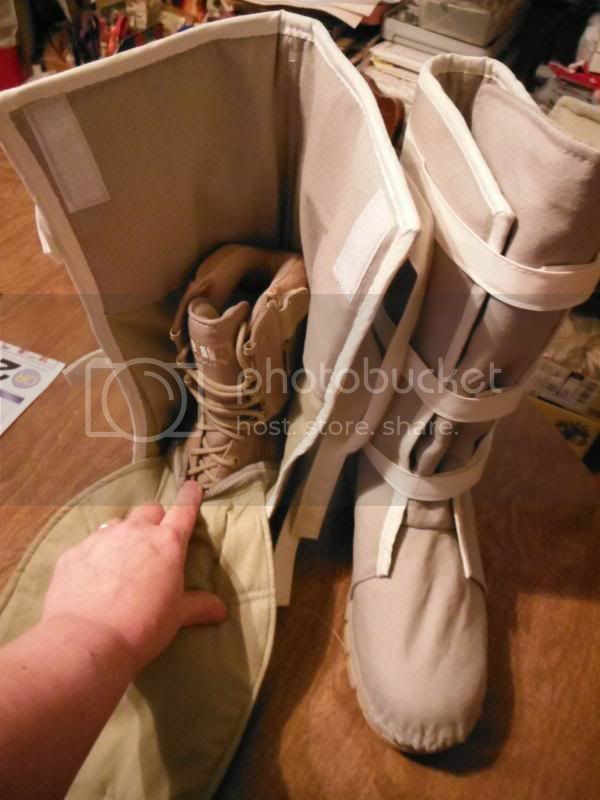 I slid the covers back onto the base boots to make sure that they would work. 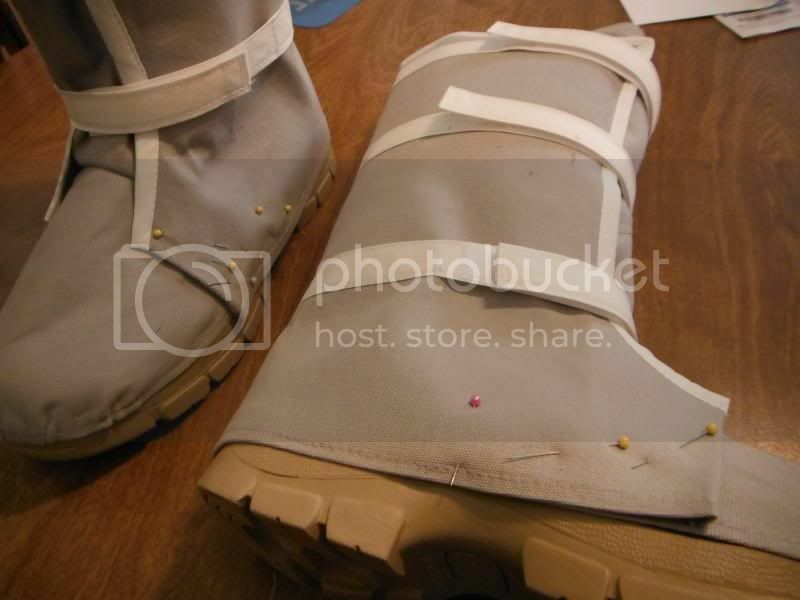 This is what I needed to make certain would work, that the laces of the base boot would be accessible. 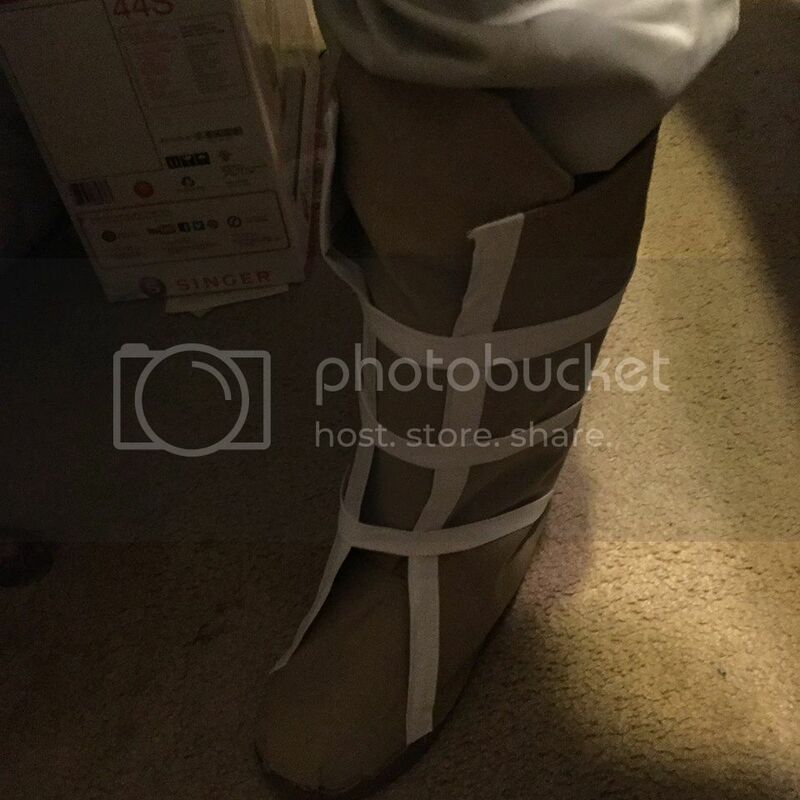 This is a side view of the cover in place on the boot. It fits so snugly that I can pick up the entire boot by the cover and everything stays on and together. 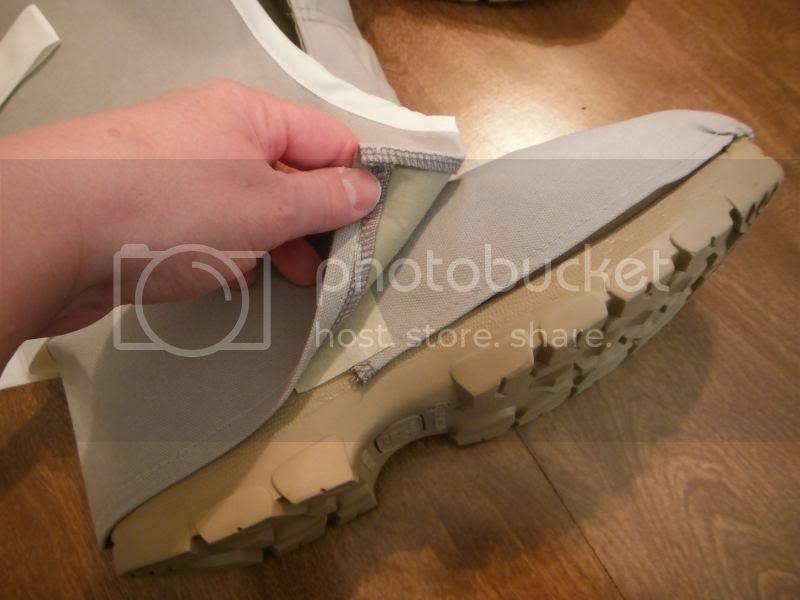 Now onto the "Shoe-Goo" I started at the back of each boot, making sure that I put the goo along the bottom edge. I worked my way around to each side, adding more goo. 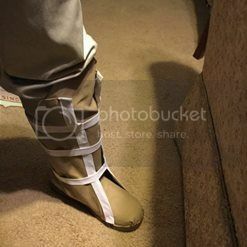 I ended in the front where I had the toe pieces pulled back over the boots so I could get the goo underneath. 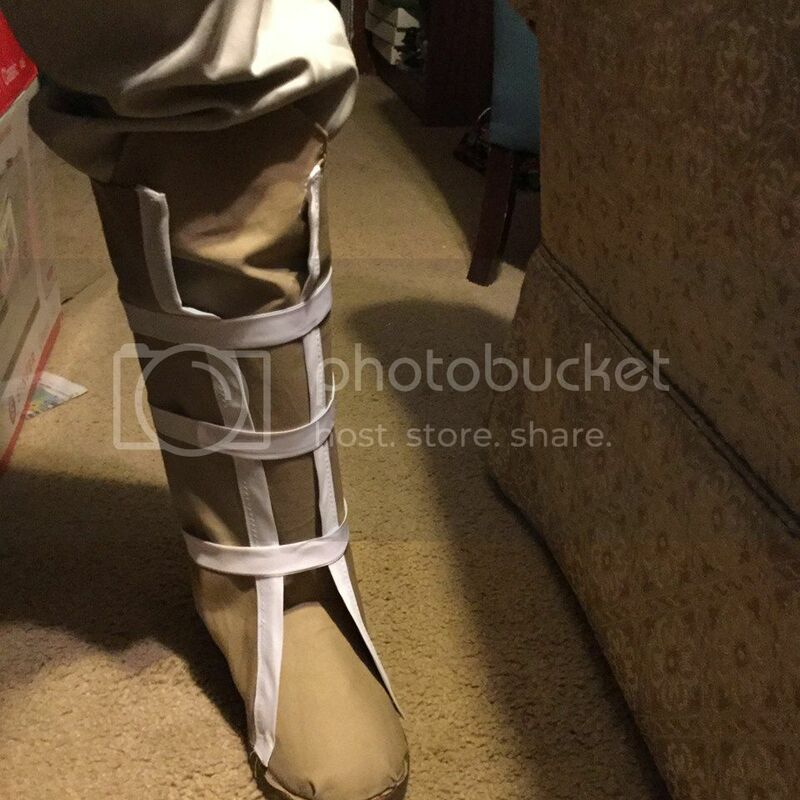 Here are the boots all "gooed" in place. 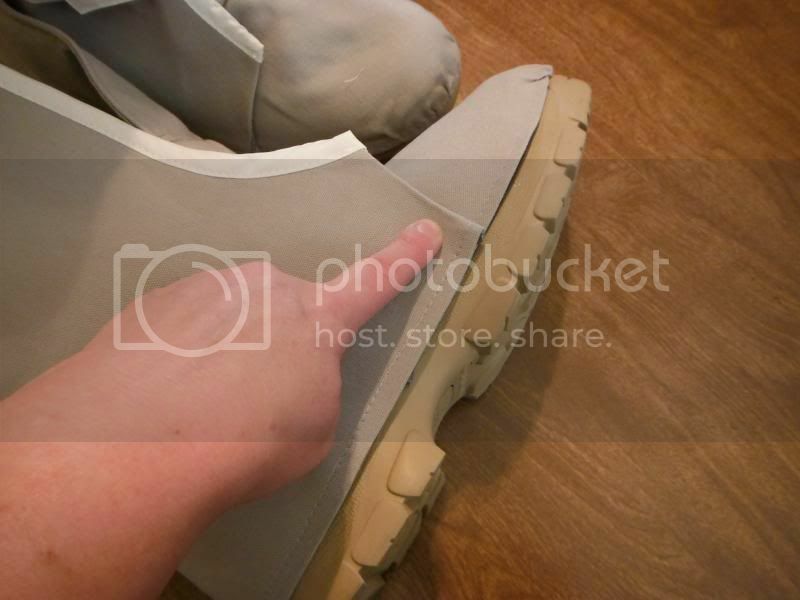 If any part of the boot covers ever come loose, a little "Shoe-Goo" will put it back. 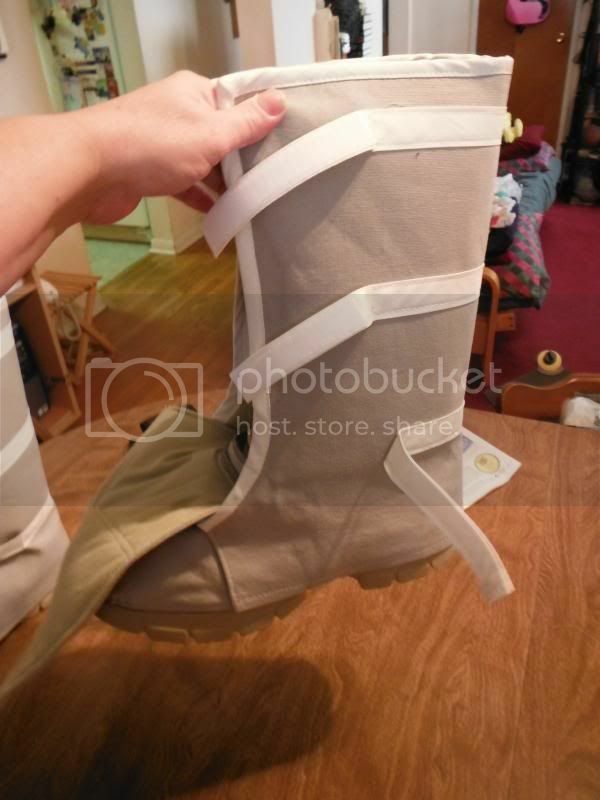 However, I doubt that there will be any major 'costume malfunctions' with these, since the entire boot cover itself is load-bearing. It's not just going to come off spontaneously. And the final test, can I access the laces to the boots underneath? Yes I can! 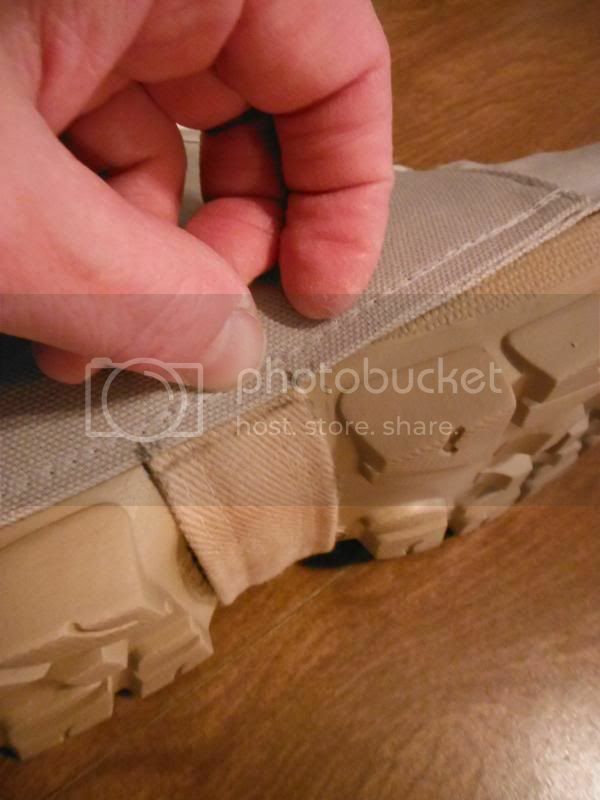 I then put some rubber bands around the boots so that the Shoe-Goo will set up better & tighter. Now they need to dry. 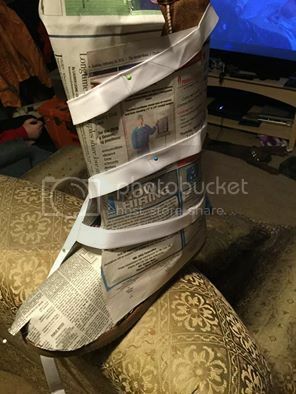 The first thing that would make this easier to do is by having an easier base boot. 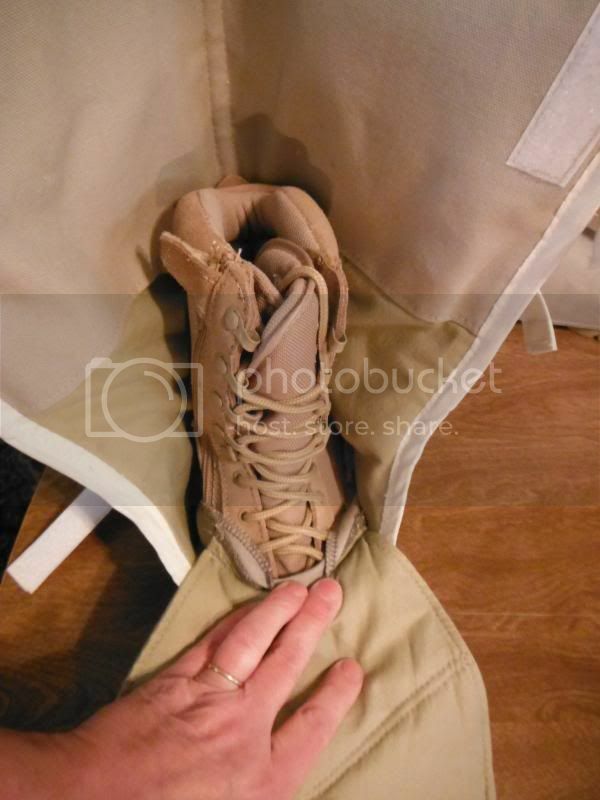 What I mean by that is that an under-boot / base boot that you build these on would be much easier to deal with if you do not need to lace those up. 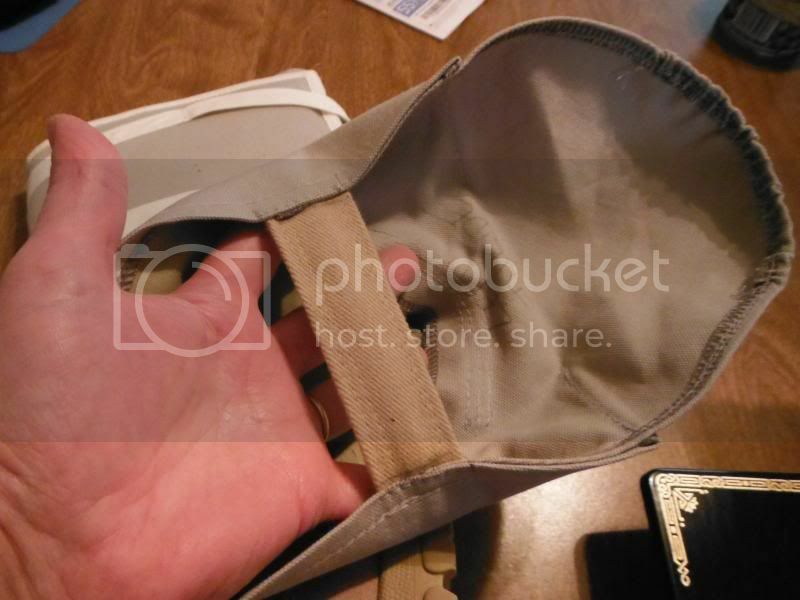 That way, the boot cover could be made to fit more tightly to the base boot. 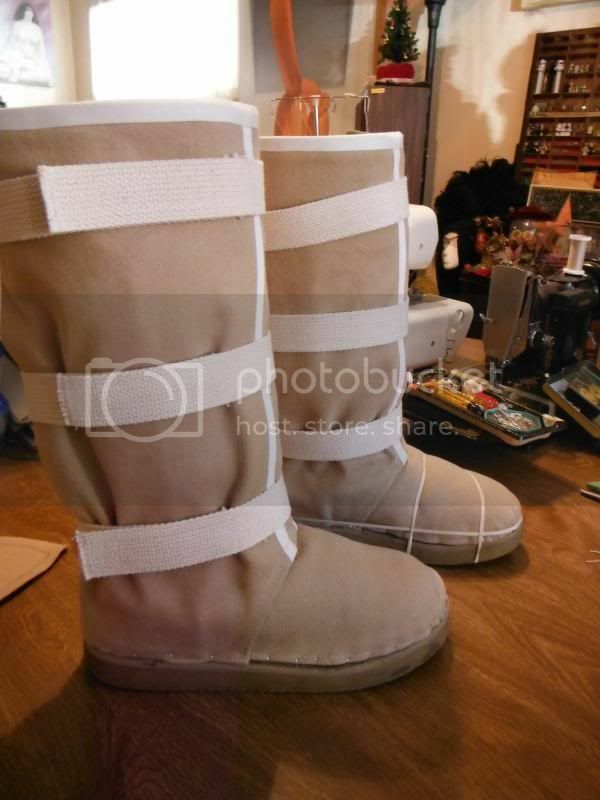 I used (fake / knock-off) "UGG" style boots for my HTT and that resolved a LOAD of issues! 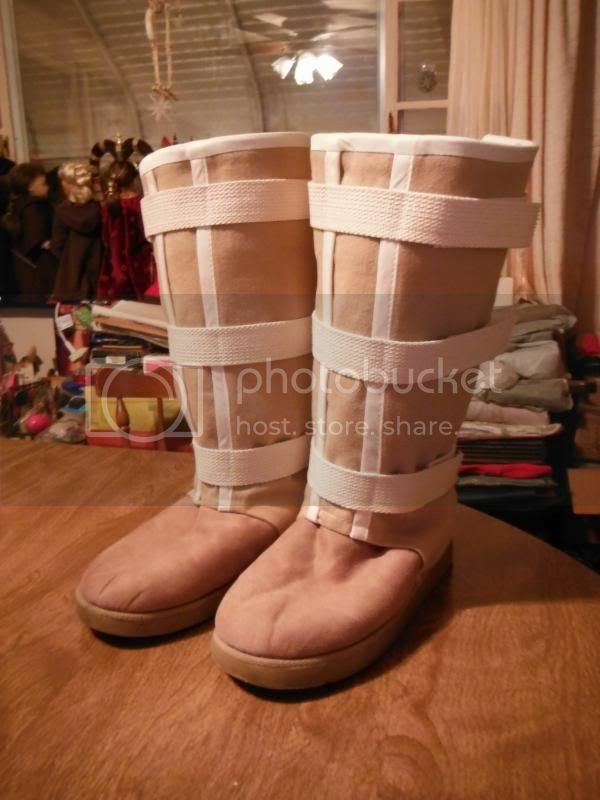 The "hero-style" Hoth boot could easily be build on an "UGG-style" base boot because the tongue would not need to be functional. It would only need to "look" functional. 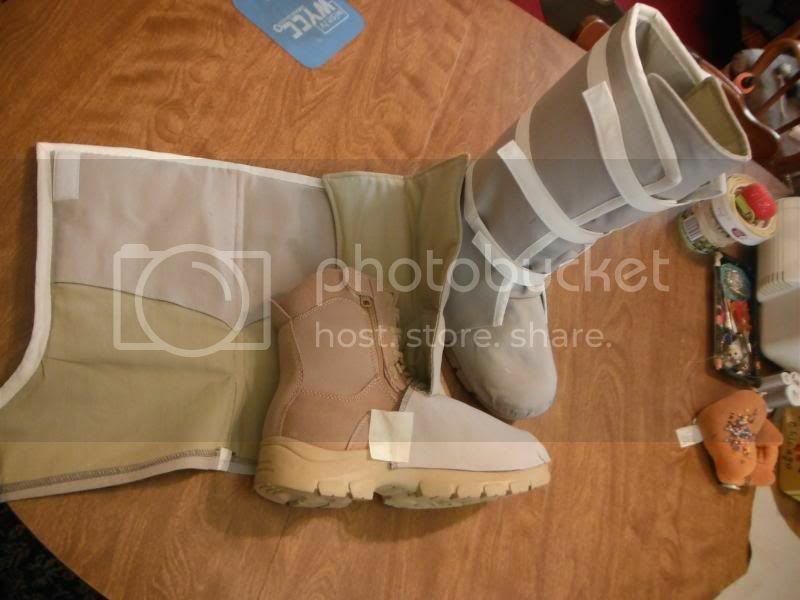 "UUG-style" boots also have padding and the shaft of the boot is a lot taller than a hiking boot. 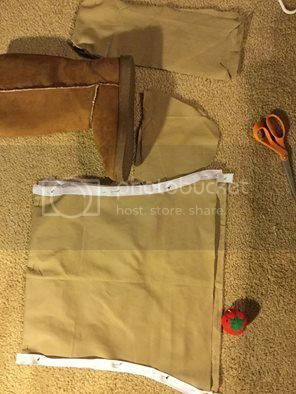 I only needed to build my HTT gaiters about 2" - 3" taller then the top of the UGG-like boots and all I did to compensate for the difference is by adding a 3" interfaced facing to the indies of the tops of those boot covers. 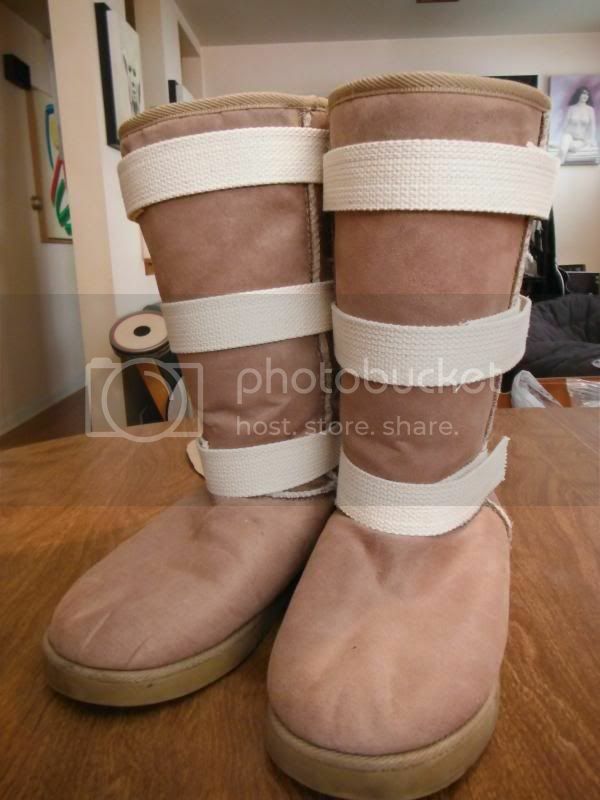 These are the "UGG" knock-offs that I used for my HTT boots. This is what the covers I made look like on those boots. Another thing that might make these easier to build is the type of fabric. 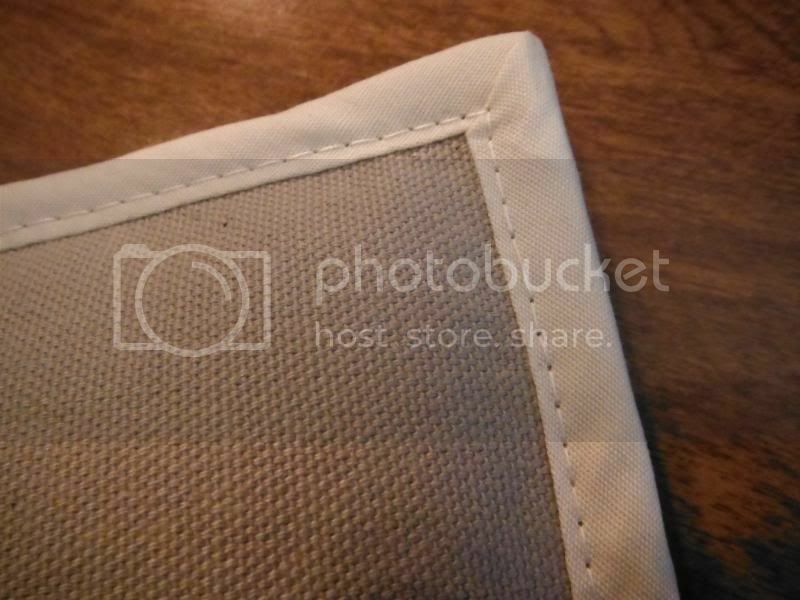 It would be a lot easier to use a fabric that has more flexibility, or 'give' to it. I am not sure exactly what the best type would be right now, but I know that would be very beneficial. I was thinking about using a wool felt when I was figuring out how to build the covers for me. The only reason that I did not use wool felt, is that the (tan) color was much too dark. I think that wool felt might be able to be 'shaped', especially in the toe of the boot. Wool felt may need some interfacing, or maybe not. 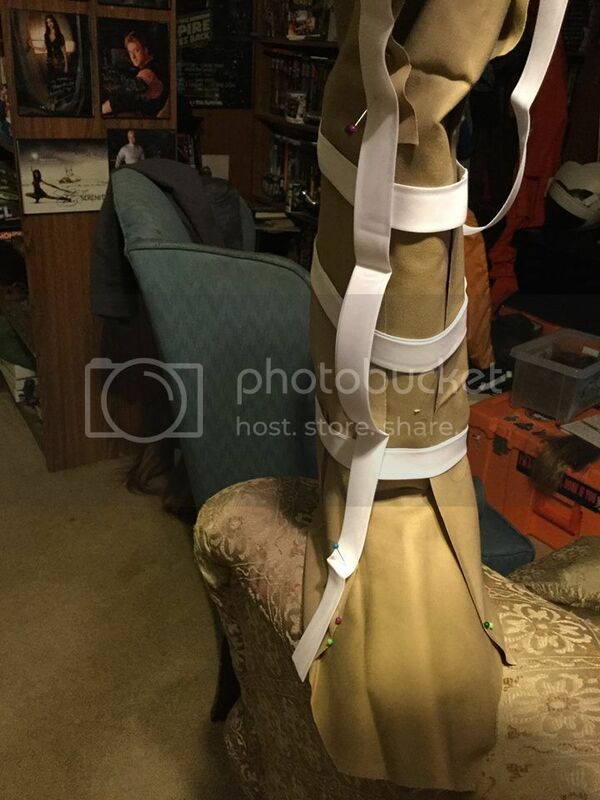 It is fairly stiff. Some time I will try out my theories about wool felt. thank you thank you! this will be a summer project for me for my Snowspeeder pilot. 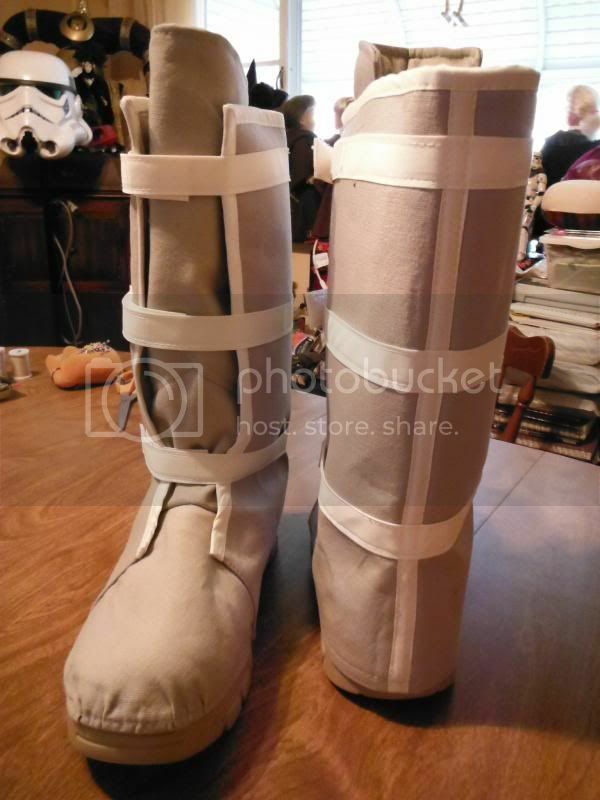 In a lot of ways this is how I may my ATAT driver boots, and my Tusken boots, that have functional side zips and wraps to hide it. thanks again for a simply brilliant tutorial! 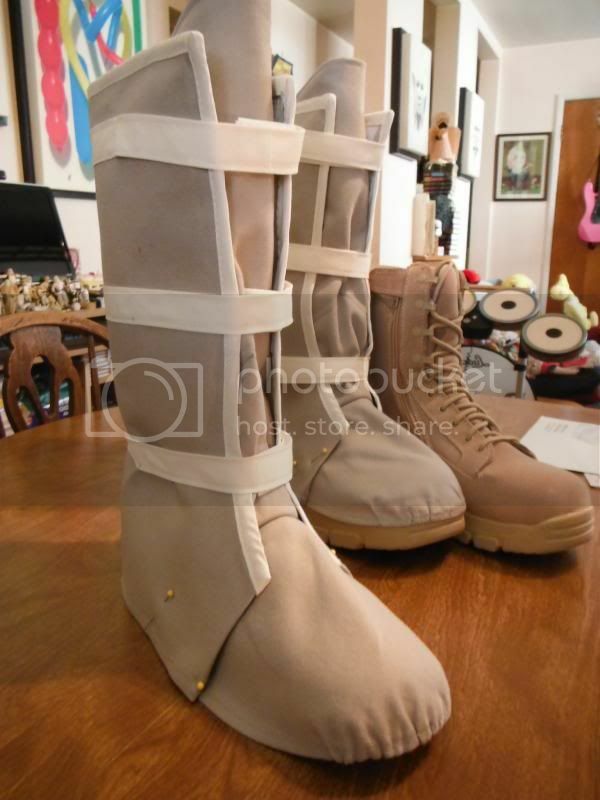 I'd loved to see those but with a faked "hero tongue"
Jason, I would build them more like how I did the Hero-style boots, but sew the tonge in place at the sides so that the boots would slip on, like these do. 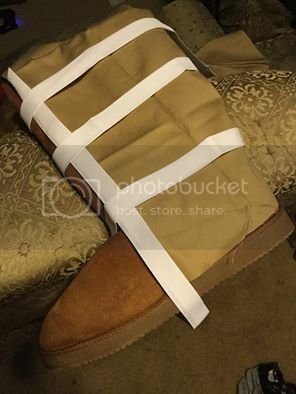 here is my attempt at TKvanB boots.... keep in mind I have no idea what I am doing, just kinda winging it. 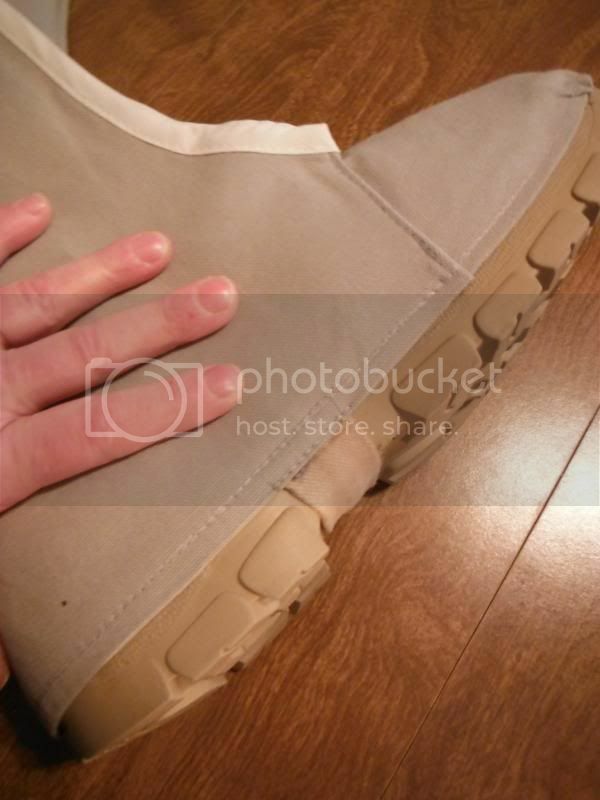 found a pair of uggs size 13 which make them size 11 in mens. thrown in the sewing machine..
Those look like they will work Crix! 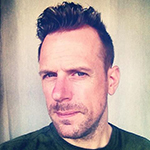 Thank you for these posts! I'm making a HTT for my kiddo today. Very nice! 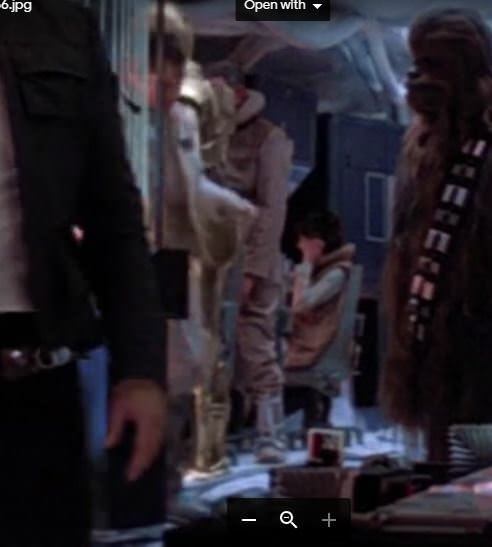 I found a background shot of a General Rieekan style officer wearing these, btw. 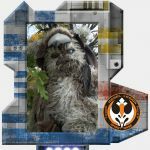 So they are good for that style of commander as well as the troopers for sure.